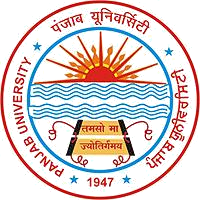 Panjab University Jobs Recruitment Notification 2018.Panjab University inviting applications for the positions of Guest Faculty.Interested and Eligible candidates can apply for the positions. 1. Subject : Electrical & Electronic Engineering. Walk- in- Interview will be held on 13th July, 2018 at 10 am in the office of the Director, WET, Panjab University, Chandigarh. All the applicants are advised to bring their original certificates and other relevant documents for verification along with the duly filled form giving the relevant details at the time of interview.